Order from us to avoid the muss and fuss of having to clean up an alien crash zone! "Where were you July 3nd, 1947? You didn't happen to be anywhere near Roswell, New Mexico, did you? 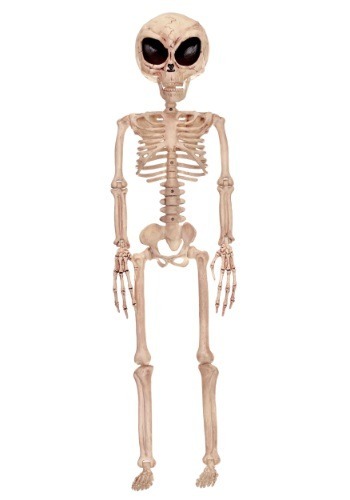 We find it a little suspicious that you have this deformed looking skeleton sitting on your porch." 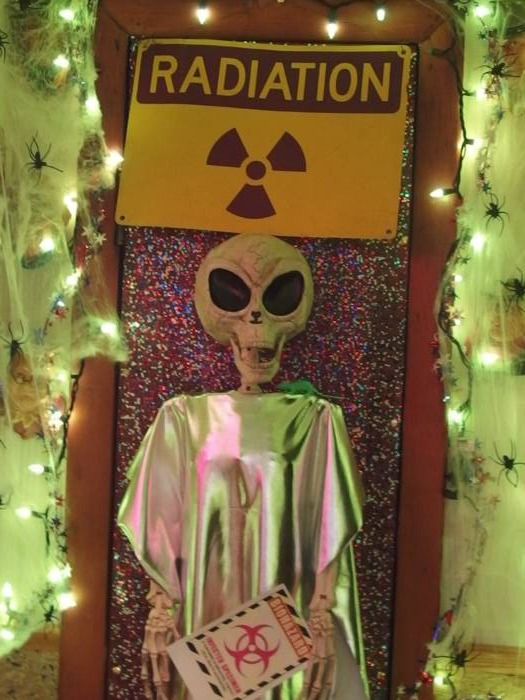 You can build an alien crash zone in your front yard or a spooky laboratory when you get this alien skeleton prop for your Halloween scene. It will be like every conspiracy theorist's dream come true! With a creepy oversized head, it's sure to be just the right touch to add an easy and extraterrestrial ambiance to your decor. But, just a word to the wise, if men in black agents show up at your front door? Just let them take the skeleton prop away with them in their black cars. You can always just order another one from us! We bought one, loved it and then bought a second one. 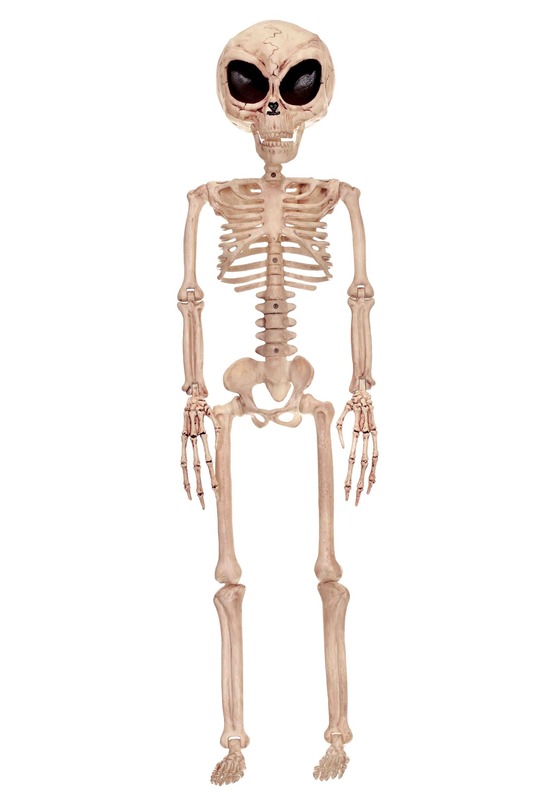 I had about 15 human skeletons in our display this year and thought that next year we'd do Aliens vs. human skeletons. When they put these on sale, we bought 5 more for 7 total. That's how much we like these alien skeletons. Now I just have to make a spaceship and maybe a robot or two. We love it. My wife and I are very happy with it and it will be a hit at our Halloween Party. It will fit right in with all the other skeletons, monsters and killer clowns we're setting up. Quality is great! I'm using it in a alien theme haunted house. Can't wait til Halloween!